FoodForward SA and Pick n Pay partnered to raise food for hungry South Africans around Mandela Day to raise much needed nutritious food for some of the 14 million people living in food insecure households in our country. The FoodForward SA Mandela Day Food Drive in partnership with Pick n Pay, now in its second year, was a national call to action for all South Africans to work together and fight hunger by either purchasing basic food ingredients in any Pick n Pay store across the country, and / or volunteering their time packing the food at six different locations nationally, to be taken to FoodForward SA’s warehouses. 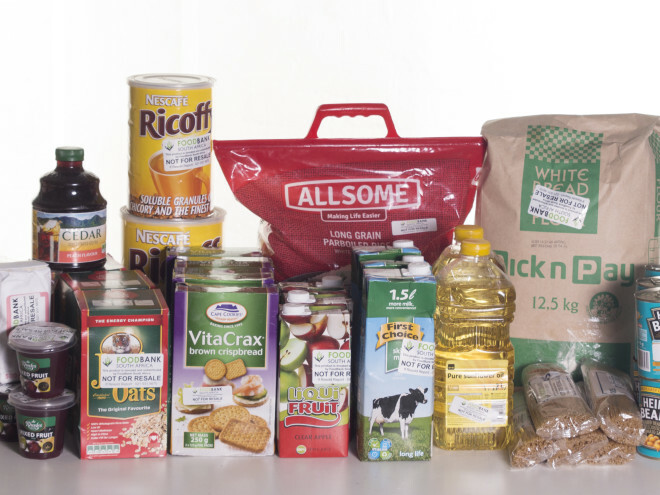 The national food drive is growing in popularity and has helped stock FoodForward SA’s warehouses across the country with staple foods during winter, to ensure that the 600 Beneficiary Organisations we serve can continue to provide warm meals to the 250,000 people they feed daily. 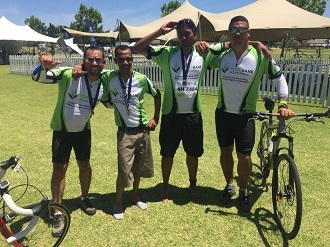 “On behalf of hundreds of thousands of hungry South Africans, we extend our thanks to the thousands of volunteers who came together to fight hunger, either by volunteering their time in Pick n Pay stores, encouraging shoppers to buy and donate food, or donating their time to sort and pack the food for our 600 Beneficiary Organisations, “says Andy Du Plessis. “For about 14 million people, securing food is a daily struggle, one that leads to compromised nutrition, skipping meals, eating smaller portions and also very common – going without food for days” Du Plessis added. We are so proud that the people of South Africa made a tangible effort to address this need amongst our fellow citizens, and we were inspired by the commitment and spirit of volunteerism on this important day,” he added. “Yet, in the midst of all this surplus, we have a significant proportion of our population living in conditions of food scarcity and insecurity,” says Andy Du Plessis. 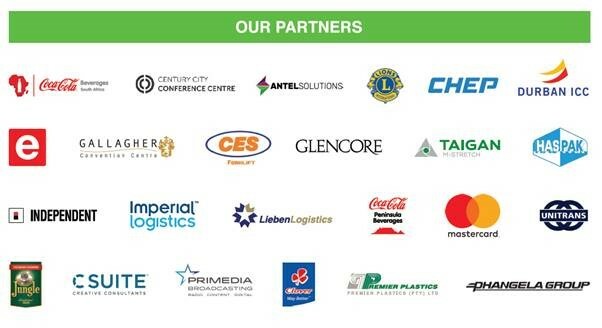 CHEP South Africa, the largest supply chain logistics and pallet container company in the country supported the FoodForward SA Mandela Day Food Drive. It is critical that food gets to the Beneficiary Organisations in the same condition that it leaves the store, and CHEP South Africa was pleased to be able to make the packing event possible by donating the use of vital material handling equipment. 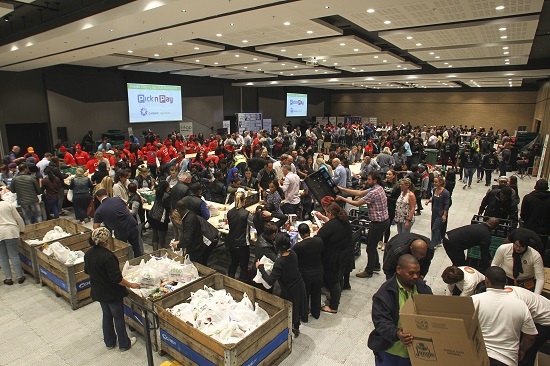 CHEP South Africa supplied food grade bins to all participating stores to collect consumer donations, which were centralised into regional hubs for the main Mandela Day sorting and packing events. They also supplied foldable crates to FoodForward SA at the regional packing events to aid in sorting and packing. “Without CHEP’s equipment and logistical expertise this would have been a very difficult project to pull together,” concluded Andy Du Plessis. FoodForward SA would also like to thank Pick n Pay for their support of FoodForward SA and the national food drive initiative.